Immediate payment of C $103.99 is required. Easy to install, no cables to deal with and super compact. As for speed, super fast with Windows 10 booting in less than ten seconds. I believe that M.2 NVME SSDs are best suited as a boot drive hosting the OS. The incredible value that Samsung 970 EVO offers is hard to beat. As for reliability, it is too early to tell, but so far so good. Fast and seemingly reliable NVME SSD! 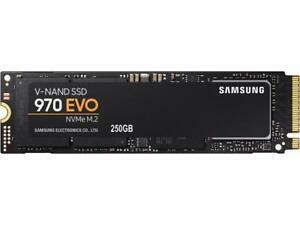 These nvme drives from Samsung are speedy and affordable nowadays! Can't get your OS loaded faster than with one of these!